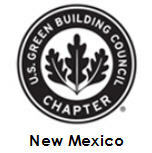 Go Green, NM is constantly scanning the horizon looking for new products, new techniques, new opportunities for our clients. We invest in our employees to make sure that they are well-trained and well-equipped. We seek out the best and brightest with excellent communication skills. We’ve formed strategic partnerships with organizations that enhance our ability to provide you with the best possible service.